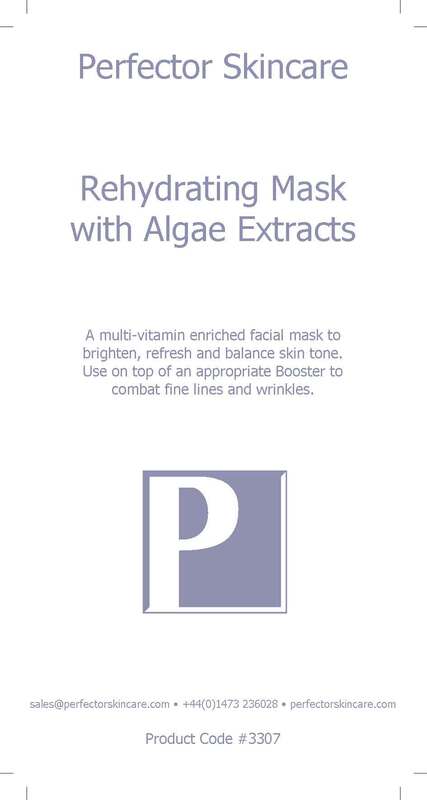 A multi-vitamin enriched facial mask to brighten, refresh and balance skin tone. Use on top of an appropriate Booster to combat fine lines and wrinkles. Add the contents of one sachet to half a sachet of water (approx. 100ml). Mix thoroughly and until you have a homogeneous preparation. After cleansing the skin apply a generous amount of the mask to the face and throat but avoiding the eye contour area. After 10 to 15 minutes, or as soon as the application loses a glazed appearance, the mask should start to look rubbery. Remove the mask by lifting it off, working from the throat to the forehead. Rinse off any residue with warm water. The skin will look cleansed and refreshed, pores reduced and fine lines and wrinkles diminished.